A short flying pause or the cold time of year are perfect moments for your paraglider to have a thorough annual check. Using our own Rail-Check-Process we can quickly obtain an accurate image of your wing’s trim state. The latest Rail-Check laser measuring technology, original replacement parts and comprehensive quality assurance guarantee reliable, as-certified flying equipment. Every check is fully documented and you get a detailed check printout. *Free Free for new NOVA wings with Hybrid lines bought in Switzerland, within one year or after 15 to 20 flying hours of the purchase date! All other manufacturers request the line strength test from the first full service – after 2 years from purchase (in general). - Product registered on: www.nova.eu (myNOVA). General NOVA business and guarantee conditions apply. 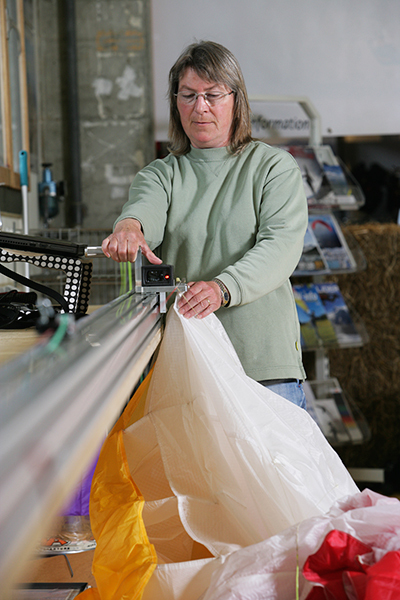 - Gliders or second hand gliders imported directly, or parallel imports. Trimming is a basic requirement for a good and safe flying wing, so we regard this as especially important. Trim Tuning (NTT) is the adjustment of line lengths, based on millimeter-accurate measurement of all the lines between harness and wing. This is done by our own Rail-Check-Technique. Every day we measure as many as ten wings on the two measuring set-ups in our Service Centre. 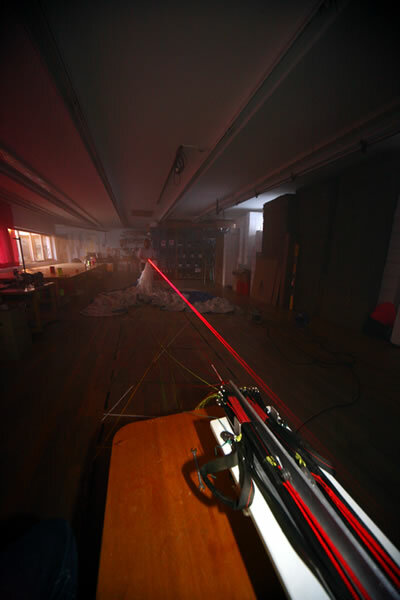 To do this we use laser equipment with online data transfer via PC. Virtual trimming on the PC is finally corrected on the wing according to the manufacturer’s data, for example by means of varying the looping on the quicklinks. Nova offers this service for new wings free. Even less-flown wings (of all brands) in their first year and in the first 20 to 30 flights are liable to a (lessening) tendency for marked variation in their line lengths. The Full Service (NFS). This check of every part of the wing is carried out every two years, as a rule, depending on the glider model and use – with or without line strength test. If you’d like to come and see what we do please call us for an appointment! First the porosity (letting air through) of the cloth is checked using a JDC porosimeter. This device measures the seconds taken to allow a specific volume of air to be sucked through an area of cloth. The more porous the cloth the fewer the seconds. Porosity is measured at 3 to 5 points on the upper surface of the canopy, about 10 to 20 cm behind the leading edge. New cloth can score up to 500 seconds or more, using the JDC gadget. 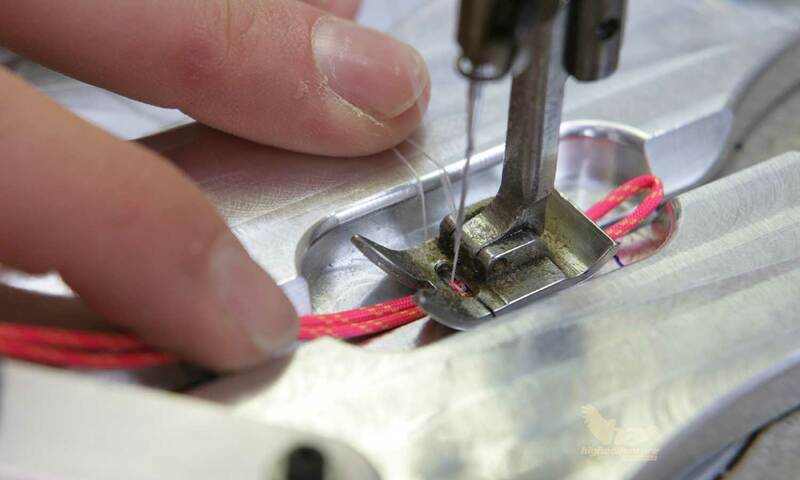 The bottom limit, depending on the type of cloth and manufacturer’s specifications, lies somewhere between 5 and 20 seconds. A thing called a bettsometer is used for this. This device pushes a needle into the upper wing surface near the leading edge and the force required is measured by a small graduated spring scale. This value must not be less than 600 gm. Lines from all galleries are tested. To do this lines from several levels are removed, snapped by a machine and replaced with new ones. Each model and size has its own minimum values for line strength. The number of lines to be broken also depends, among other things, on the condition of the wing. If a minimum value is not achieved the relevant line group has to be replaced, or sometimes the complete line set may have to be changed. Both risers are checked for chafing, cracks, severe wear and symmetry. All quicklinks, trims if fitted and the speed system are inspected for damage such as fraying, chafing, stiffness or excessive friction. The base, forks, galleries and brake lines are investigated for kinks, chafing, cover damage and serious wear. Likewise the integrity of the sewing will be checked. Defective lines will be replaced. Upper and lower surfaces, leading edge, ribs, seams and flares are inspected for tears, chafing, damaged coating, repair sites and other abnormalities. Damaged parts are replaced or repaired. 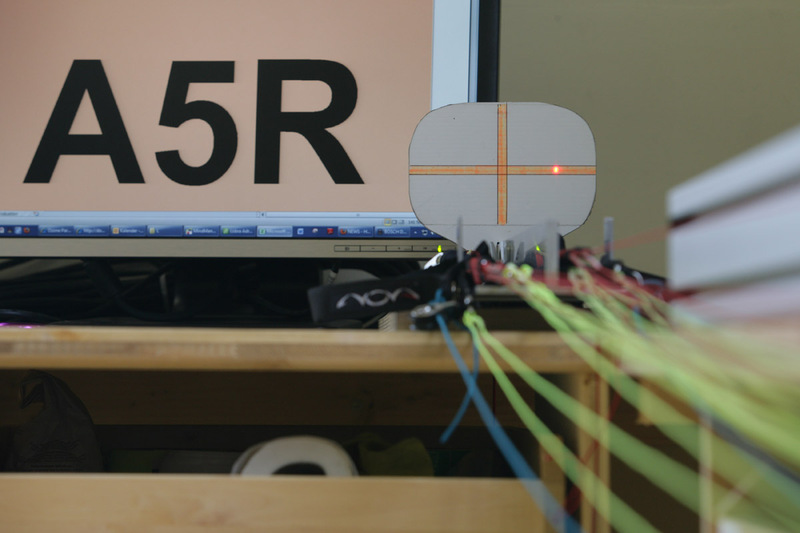 Using the latest laser technology in our RailCheck equipment we measure all the lines between canopy and riser loops over their complete lengths, under a standard load of 5kg and within the specified time limit of one second. This enables us to gain a picture of the wing’s actual trim state, to millimeter accuracy. In practice pilot weight, predominant A and B line loads, humidity or dirt can stretch or shrink the lengths of the lines. We often find that C, D, (E) and brake lines get shorter, which increases the trimmed angle of attack. The wing then flies too slowly and could be more liable to parachutal stall. The lines are re-trimmed based on the results of these line measurements. Virtual trim adjustment is simulated on the PC and finally corrected on the wing itself. The existing condition is adjusted to as near as possible the manufacturer’s original status. All check results and any repair work carried out is fully written up. The report is given to the pilot with the paraglider. We ask you to carefully read the information and advice from our checker on your check report, and take note of what it says! Finally the official inspection is confirmed by an inspection stamp on the wing stabilo. This stamp includes the date of the check, the date for the next inspection and the signature of the checker.